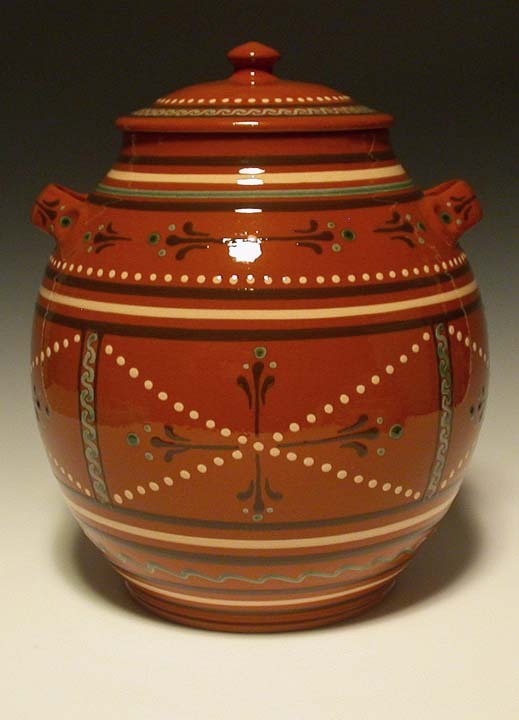 Closed the week of Thanksgiving. 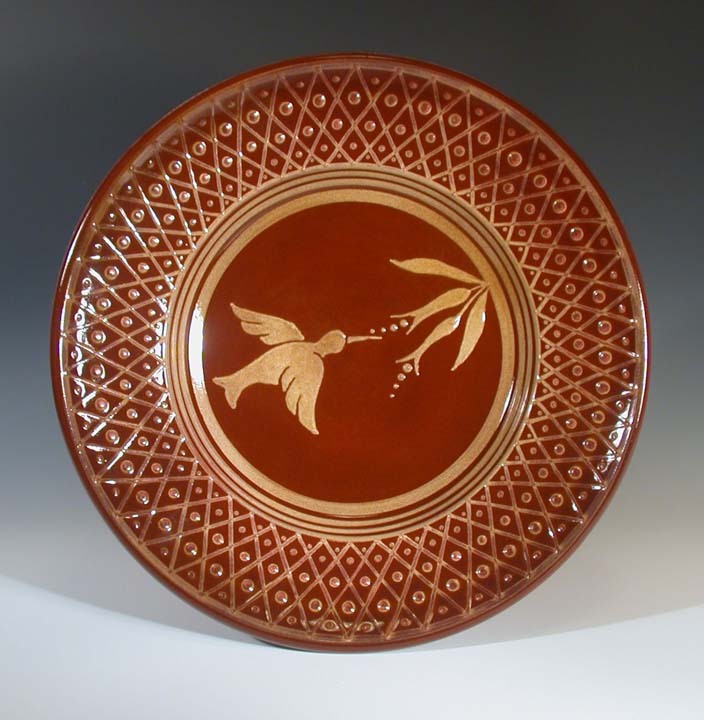 Situated on a historical tract of land in north central Randolph County, North Carolina. The tract was settled in 1766 by the Thomas Dennis Family, who had relocated from Chester County, Pennsylvania. 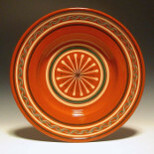 The property sat astride the Trading Road which extended from Petersburg Virginia into South Carolina. 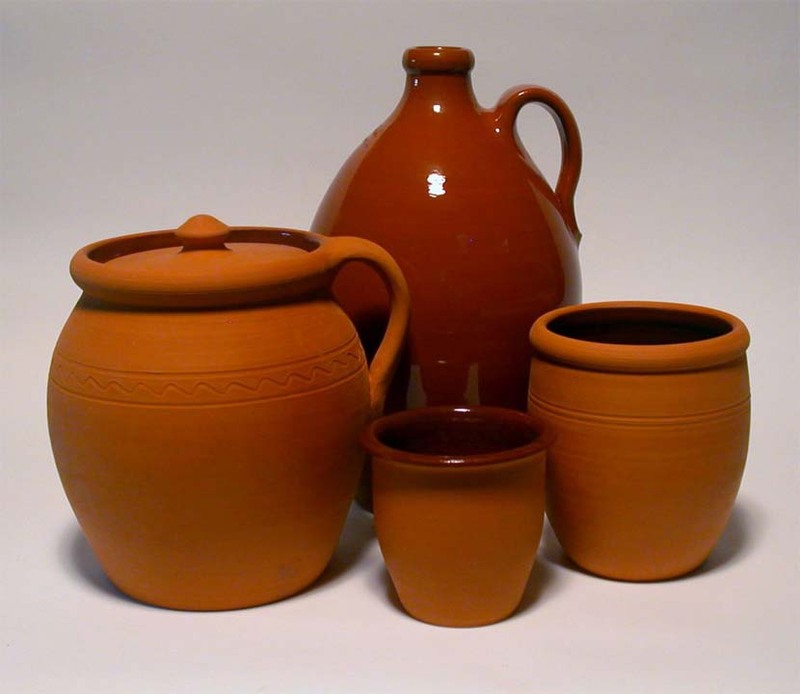 The location and the existence of large beds of earthenware clay made it ideally suited for a pottery. 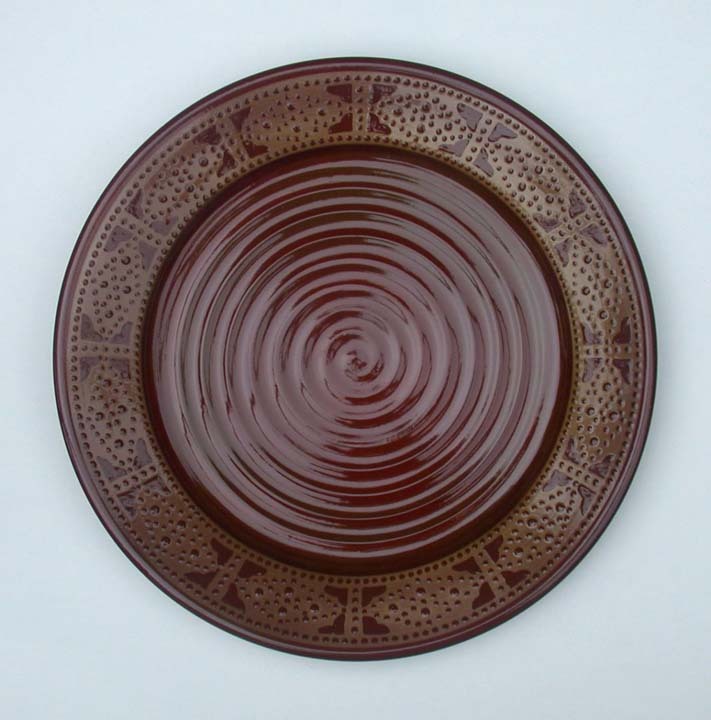 The Dennis Pottery not only made simple, utilitarian redware, but a variety of decorative slipware and thinly turned tableware. 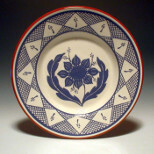 William moved to Indiana in 1832, selling the land where the house and pottery stood to Peter Dicks, a Quaker businessman and potter who lived in the nearby community of New Salem. 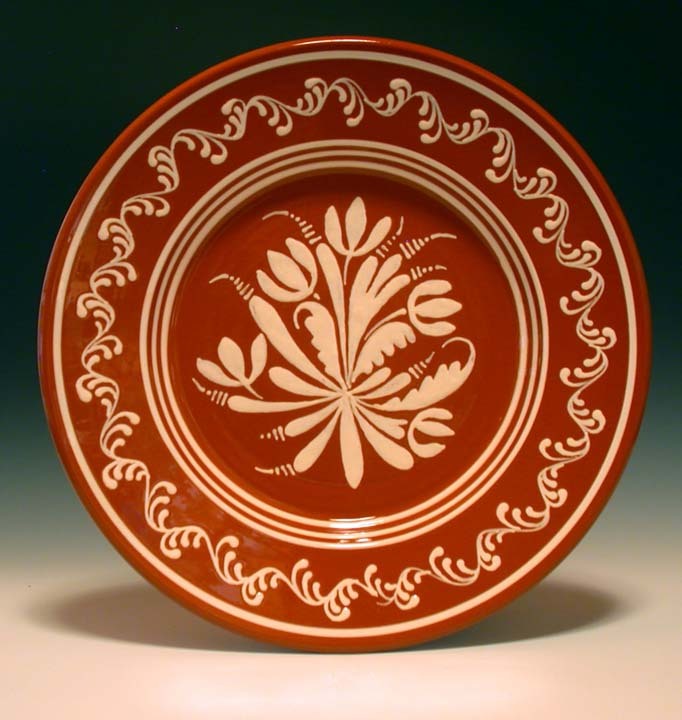 James Madison Hays, a potter purchased the property for utilization of the clay beds in 1874. 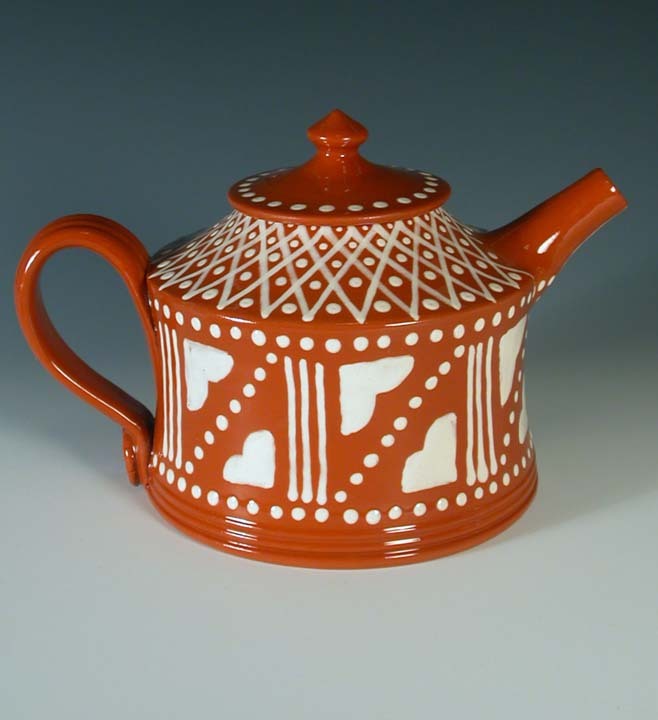 The Pugh family purchased the land in 1939 and the present pottery was established in 1972 by Hal and Eleanor. 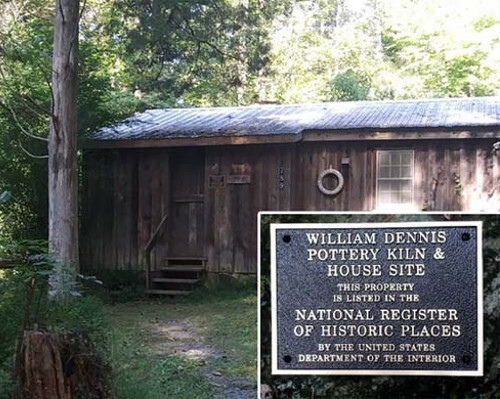 The William Dennis pottery kiln and house site are listed on the National Register of Historic Places. 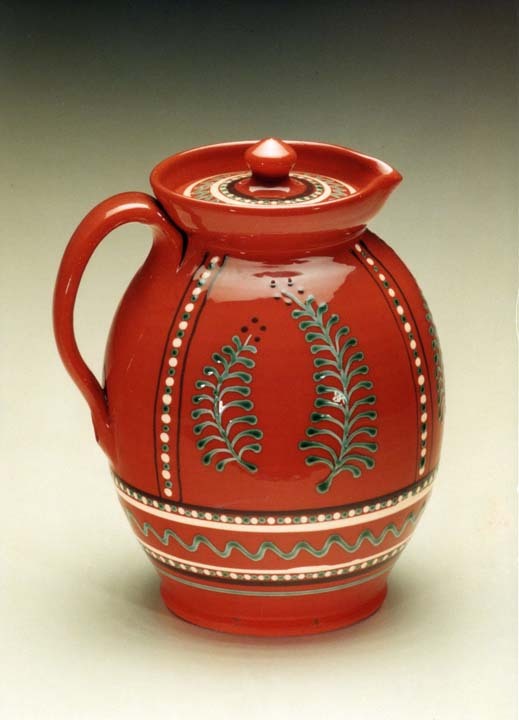 Hal researched and wrote an article entitled, "The Quaker Ceramic Tradition in the NC Piedmont: Documentation and Preliminary Survey of the Dennis Family Pottery" published in The Southern Friend: Journal of the Friends Historical Society in 1988. 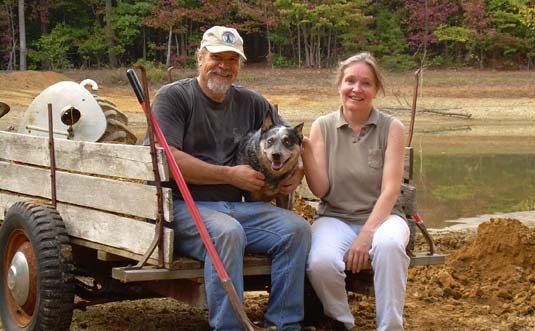 Since that time, a number of dedicated professional archaeologists, students, and volunteers have devoted countless hours in study and ongoing excavations at the site. 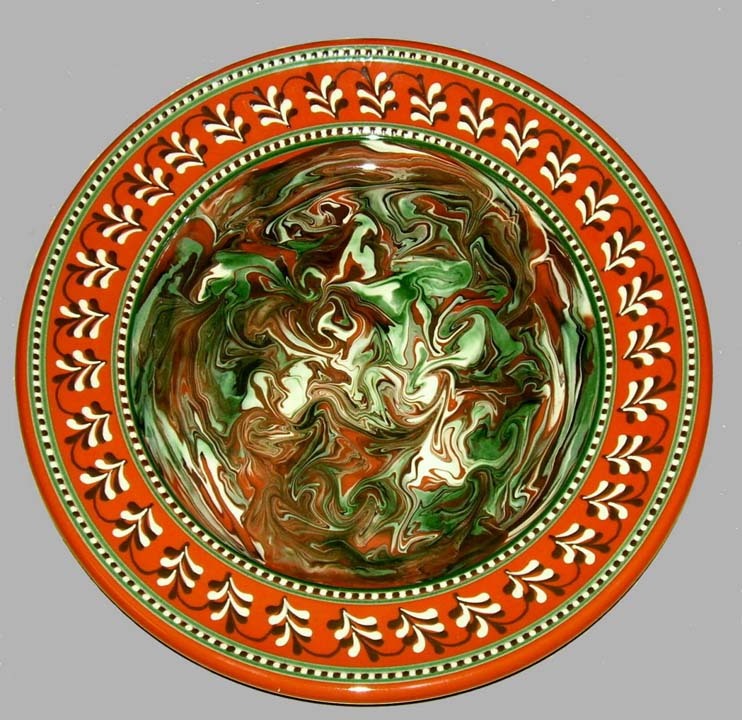 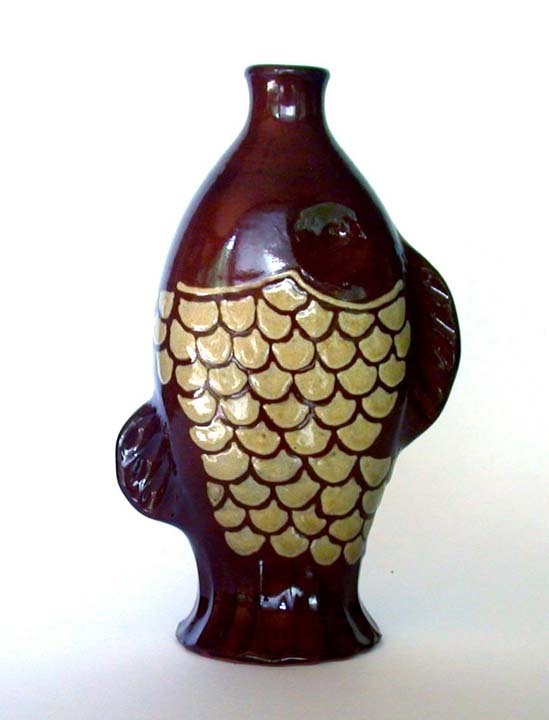 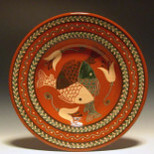 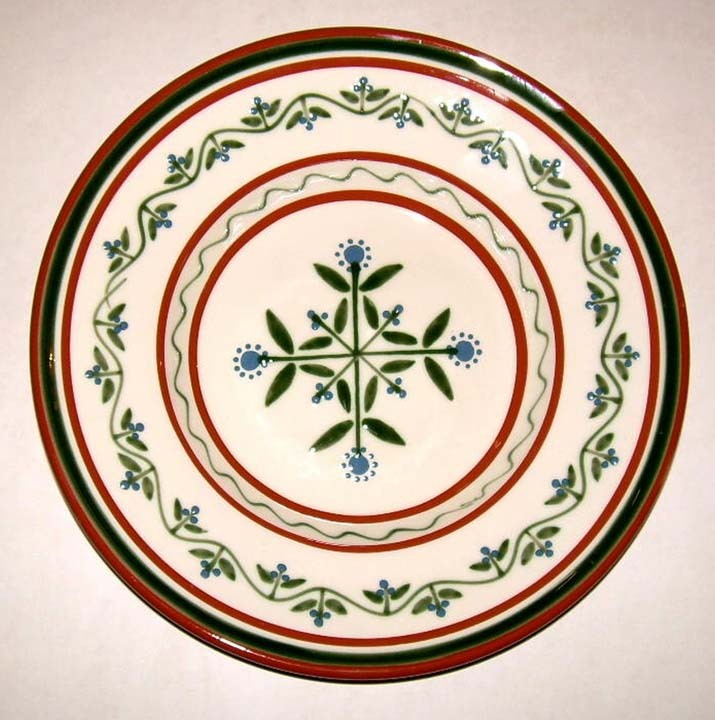 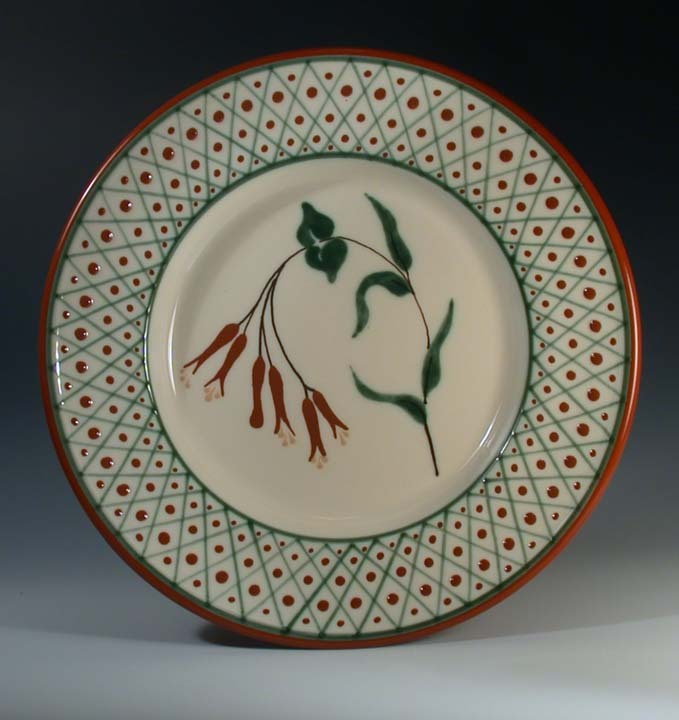 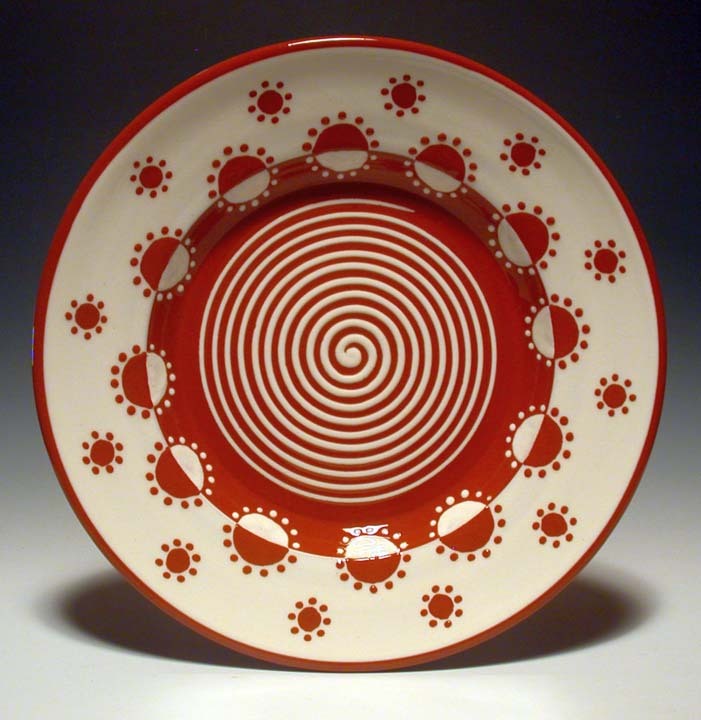 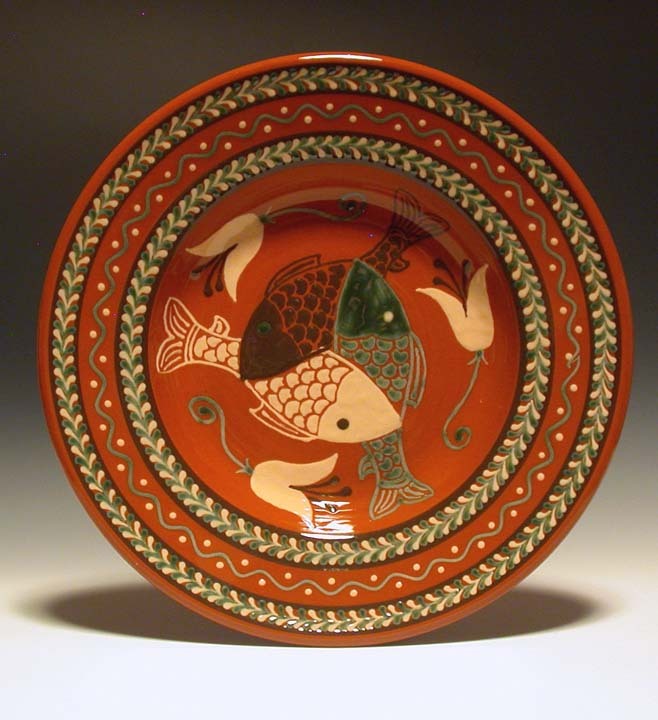 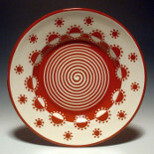 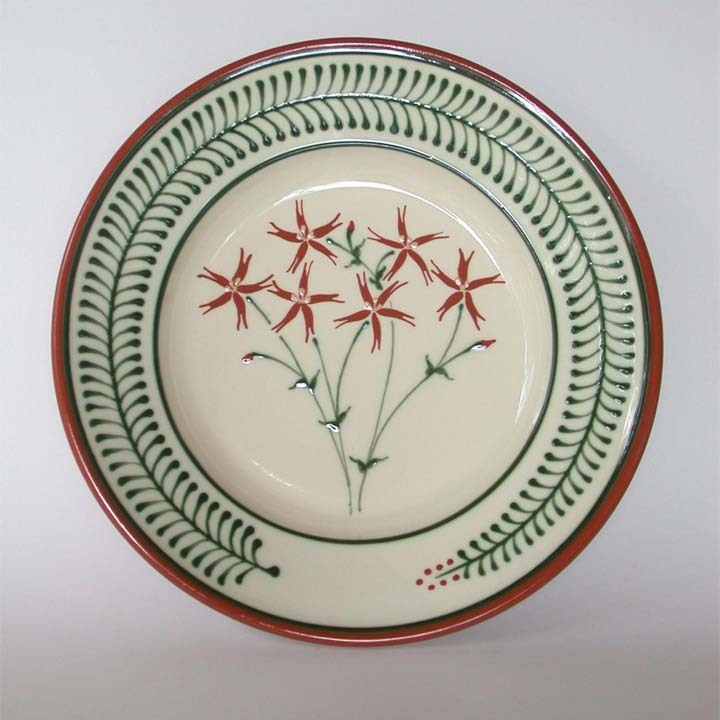 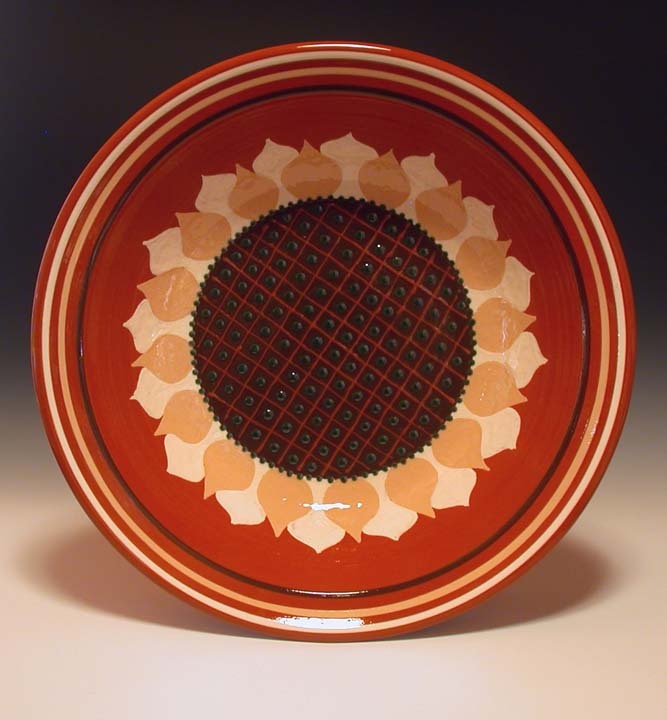 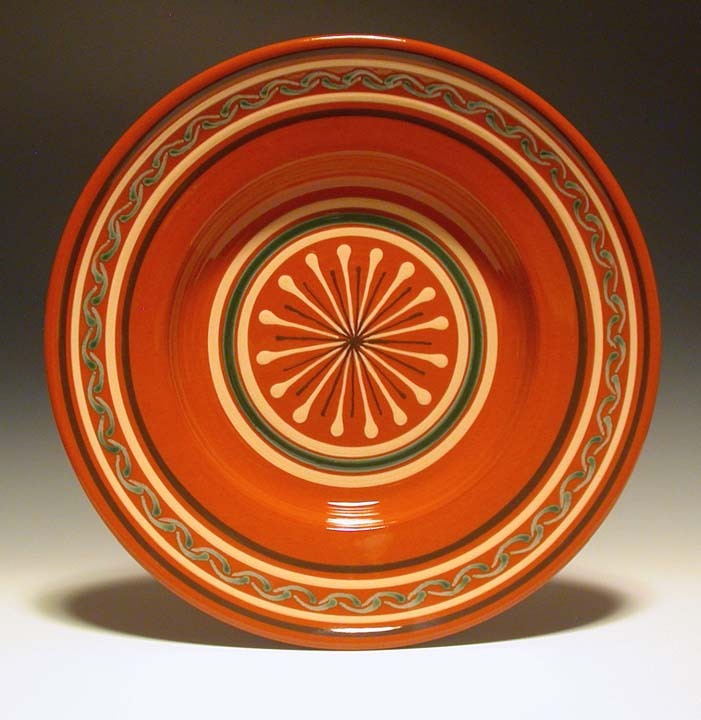 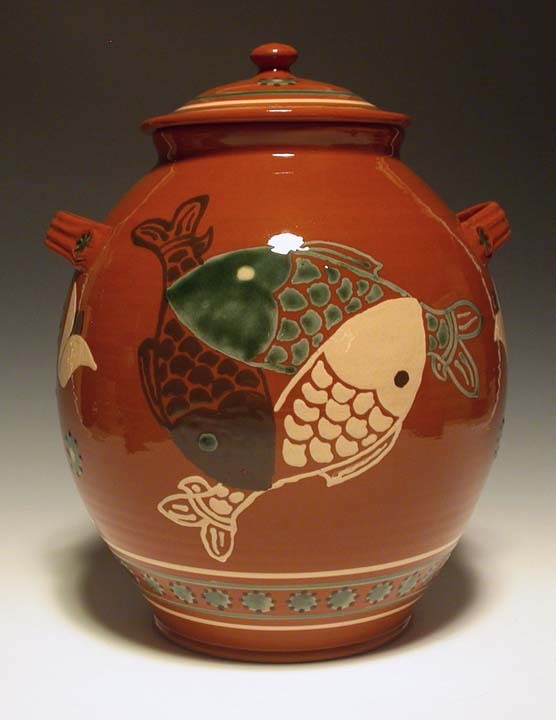 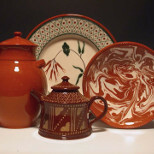 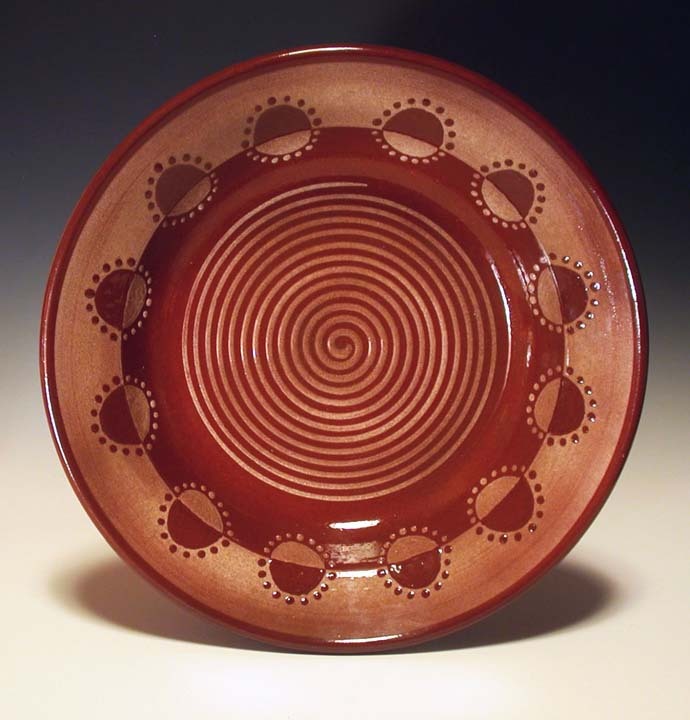 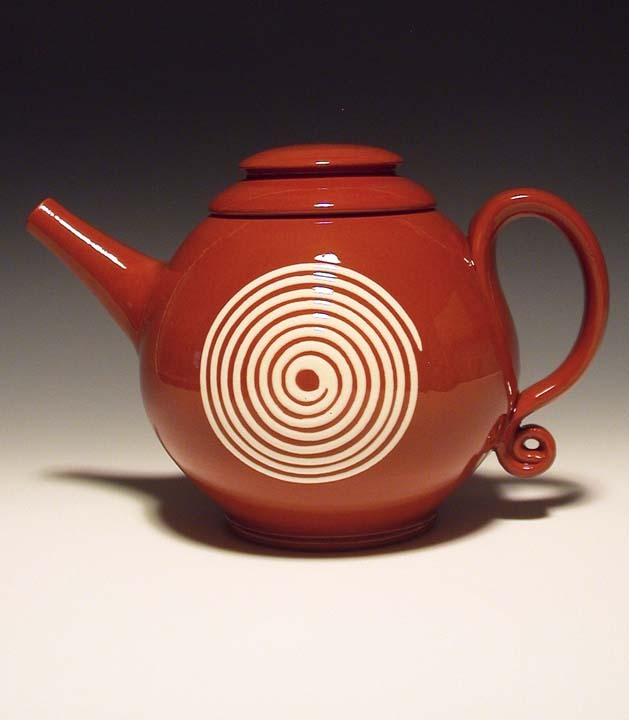 Hal E. Pugh and Eleanor Minnock-Pugh produce a variety of original redware and stoneware pottery. 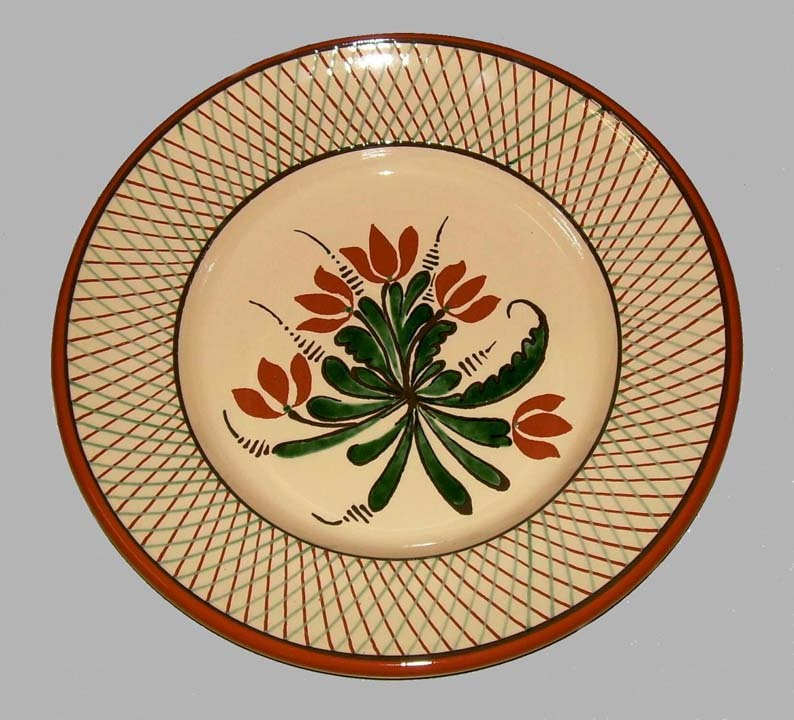 Years of work at the wheel and the subtle evolutionary convergence of originality with past traditions make their pottery recognizable by its own style. 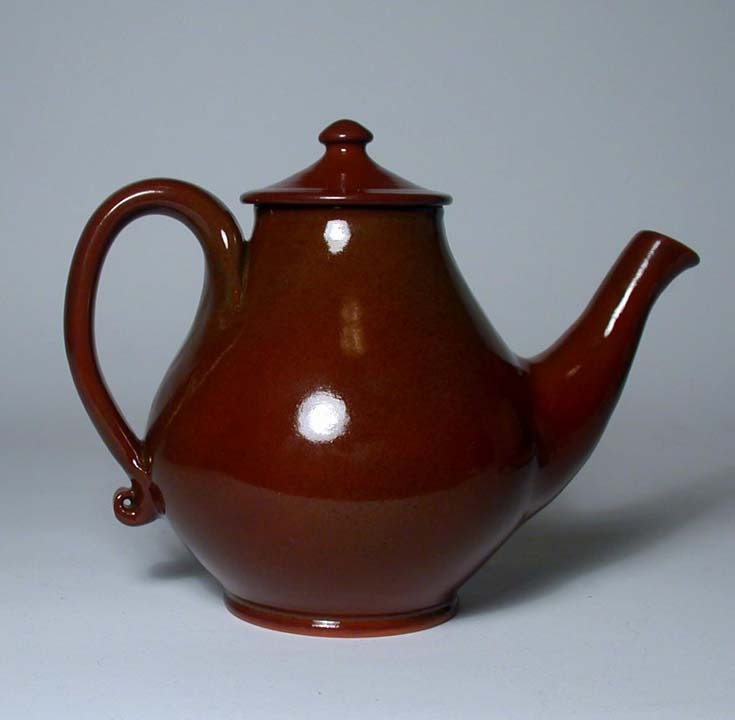 The Pughs also replicate redware and stoneware pottery from the sixteenth through the twentieth century. 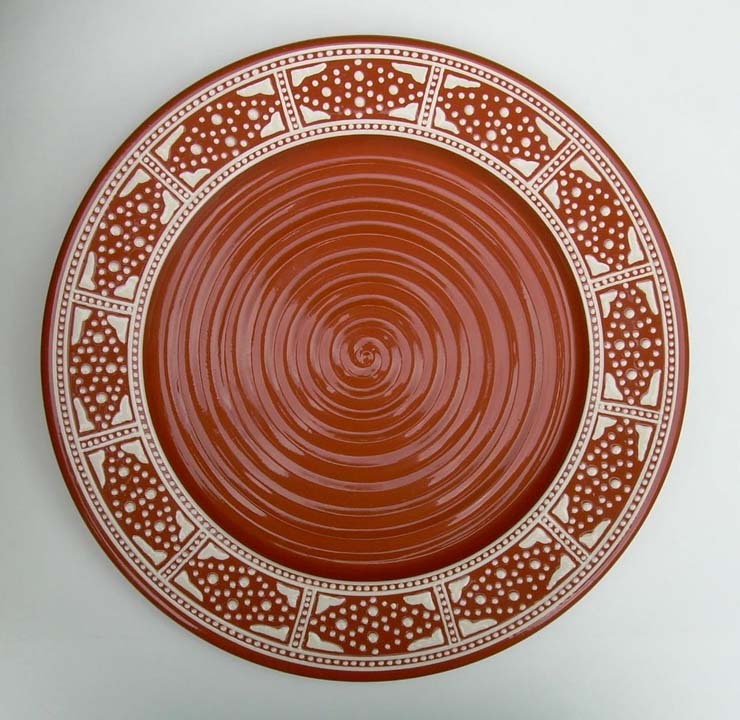 Their expertise facilitates a specialization in the reproduction of eighteenth and nineteenth century slip decorated and plain redware. 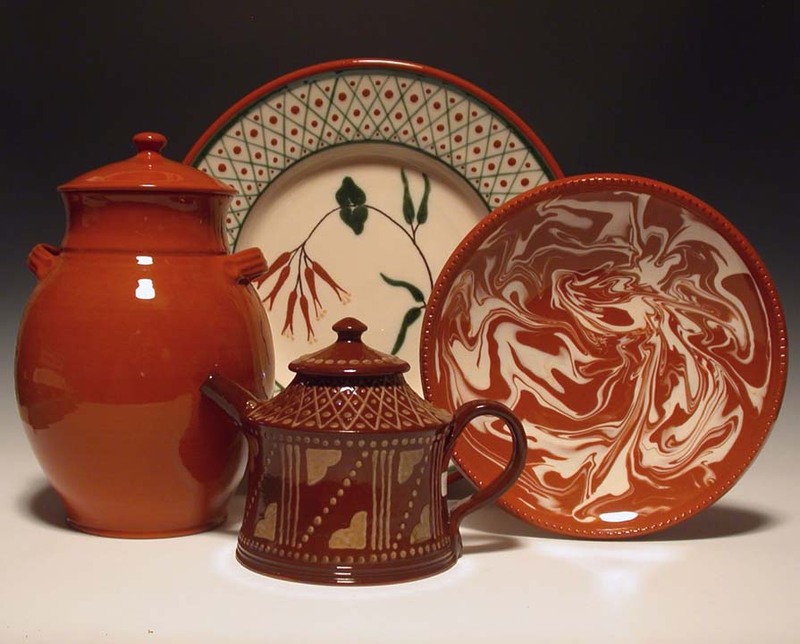 Working as consultants to archaeologists, historians, and set decorators concerning historic ceramic techniques and processes, their pottery has been displayed and used by universities, historic sites, the movie industry, and living history museums throughout the United States and abroad.